This comfortable property near Santa Eulalia is a carefully crafted spacious house full of creative history. The environment reflects the vision of a world renowned artist who designed the house, gardens and pool. The dimensions of the house are very generous; bedrooms are mostly extra-large in size, as are the living rooms, kitchen etc. The outside space is peaceful; the general feeling is airy and light. 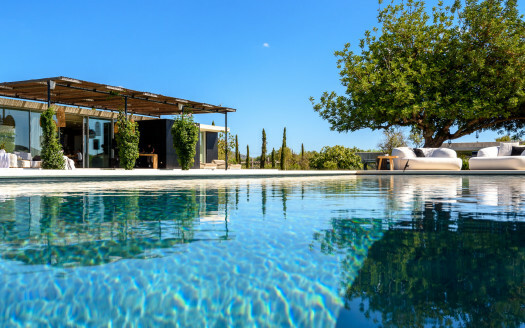 Several rooms have independent access and the sheltered terrace by the pool provides a shady retreat where guests tend to spend most of their time. The whole property is gated and in a peaceful area. 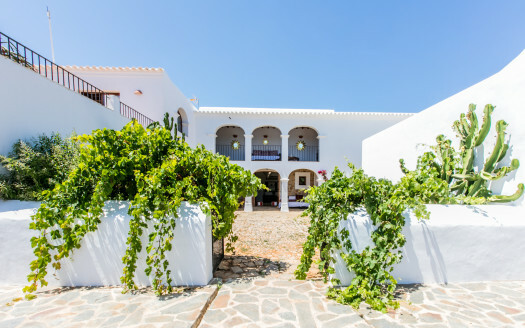 Can Garden is located in the north of the island, just 5 minutes drive to Santa Eulalia (Ibiza Island).